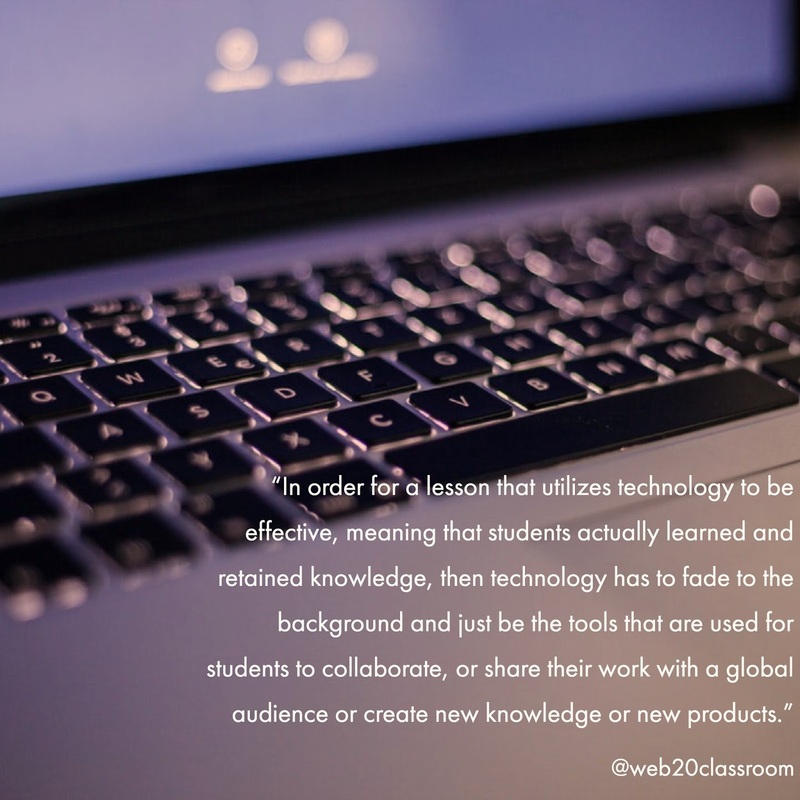 A few weeks ago I asked a group of teachers to describe a lesson where technology was used effectively to impact learning. After some thinking, one of the teachers described a lesson where students were using Google Maps to take a tour of different parts of the world. They were to visit some predetermined places, go into street view and answer a few questions. The teacher finished the story by saying the students were really engaged, the most he had ever seen them. I ask this question a lot when I work with teachers on effective technology integration. And every time I do I hear lessons described just like this teacher. And they always end the same way. The students were really engaged. Then I always ask, but was the lesson effective? And if you think it was how do you know? This question seems to stump many educators. When I work with Principals on walk-throughs I hear the same thing over and over. If students are engaged, the lesson must be effective. But effectiveness doesn’t mean that what we teach is effective, especially in the case of technology. Just because we see technology being used, and students highly-engaged, doesn’t at all mean the lesson is effective. In order for a lesson that utilizes technology to be effective, meaning that students actually learned and retained knowledge, then technology has to fade to the background and just be the tools that are used for students to collaborate, or share their work with a global audience or create new knowledge or new products. 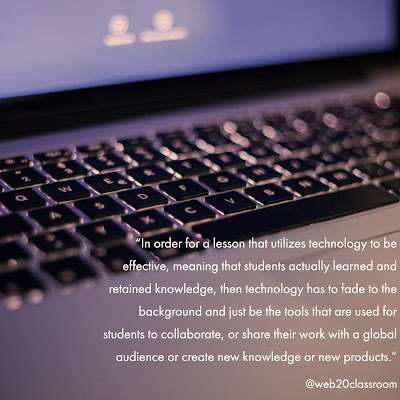 Effective lessons that utilize technology are those where there are not only clear outcomes for what students are to be learning but clear understanding of where students are in that learning and where the teacher is in their teaching. When looking at the effectiveness of a lesson we have to turn to what is research-proven to work. Using the research of John Hattie and his Visible Learning “meta-meta analysis” of over 50,000 individual studies of factors that affect student achievement as a guide, we can find clear methods that can help educators to not only create engaging but effective lessons. There are four key areas that have some of the largest effect sizes (meaning the more effect they can have to boost lesson effectiveness and student achievement) that can make what and how we teach more meaningful and effective. Classroom Discussion (Effect Size-0.82) It may seem simple but stopping a lecture or lesson to engage students in a clear discussion on the topics being learned can produce meaningful gains on lesson effectiveness. Instead of lecturing for the entire class period or having students copy pages and pages of notes, we pause to ask questions, related to the aligned standards and intended outcomes of the lesson. Students are given opportunities to respond and ask questions of their own. For the teacher, it is an opportunity to discover how the lesson is progressing and what adjustments need to be made. In the case of Classroom Discussion students can clearly be engaged and lessons can become more effective by having simple classroom conversations. Feedback (Effect Size-0.73) Another area that can show students are not only engaged but the learning is effective is feedback. We have to be careful here however. Feedback that only praises students (like saying “good job” or “great work”) won’t cut it. The type of regular feedback that teachers and students engage in that is most effective is student-driven. Students are able to show the teacher learning through their eyes. Closely related to formative assessment, the teacher gains an understand of what students know, with timely, specific and actionable feedback, within the process of learning, not at the end of learning. In the case of Feedback, it should be clear to the teacher that students are not only engaged but just how effective (or not) the lesson is through regular feedback with students. Providing Formative Assessment (Effect Size-0.68) If there is one area I believe is the easiest to implement and can provide one of the best ways to judge the effectiveness of the learning that is taking place it is formative assessment. As Shaelynn Farnsworth says formative assessment acts as a GPS to help teachers understand where their teaching is going and where students are in their understanding. Without formative assessment teachers are navigating blindly when they can be making meaningful adjustments in the moment. Formative assessment also informs students what they know and what opportunities for growth there still are. In the case of Formative Assessment the teacher will not only see that students are engaged but will know whether or not their lesson is effective. Meta-Cognitive Strategies (Effect Size-0.53) When we use meta-cognitive strategies, teachers help students think about their thinking. It would be easy to believe that our lessons are effective if every student gets all the answers correct on a quiz. But what do they really know? When students can articulate their thinking, describing in detail, not only what they know, but how they know what they know, teachers can gain a clear understanding of the effectiveness of what they are teaching. Students shouldn’t just memorize facts or events. They should be able to speak to their learning in a way that tells the teacher how effective that lesson is. In the case of Meta-Cognitive Strategies, students must be engaged in order to clearly speak to their learning and the teacher will clearly be able to determine the effectiveness of their lesson. Going to ASCD in Boston next week (March 23-26, 2018) and want to learn more? Join me for my session Key Indicators of Highly Effective Technology Use, BCEC, Level 1, Room 109A from 1:00-2:00pm to talk about this and much more!